← New Photo of Pullipstyle Exclusive Bunny Pilot Girl revealed! 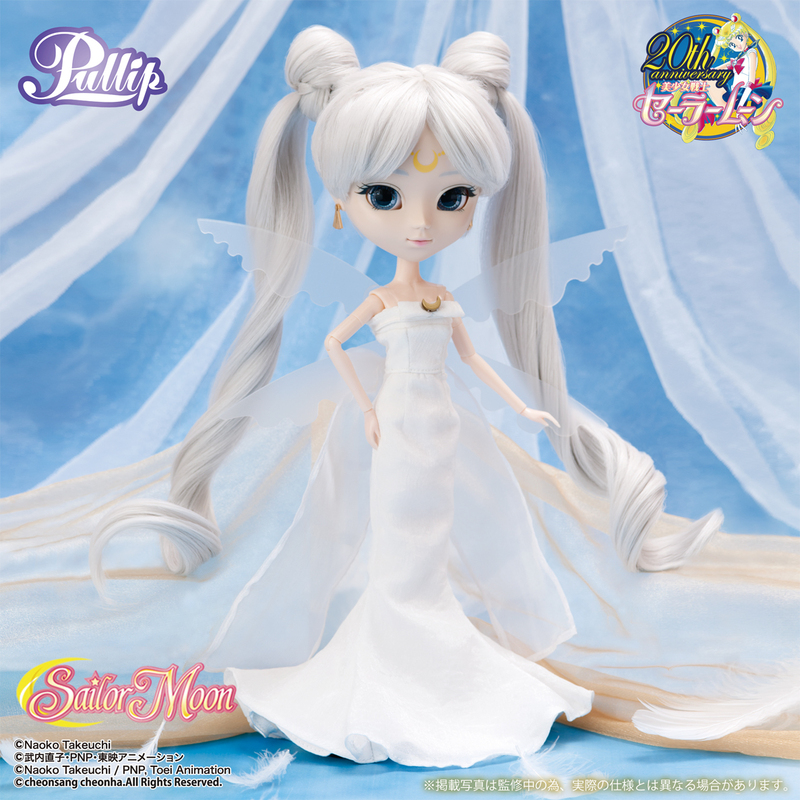 Sailor Moon x Pullip- Pullip Queen Serenity Announced! 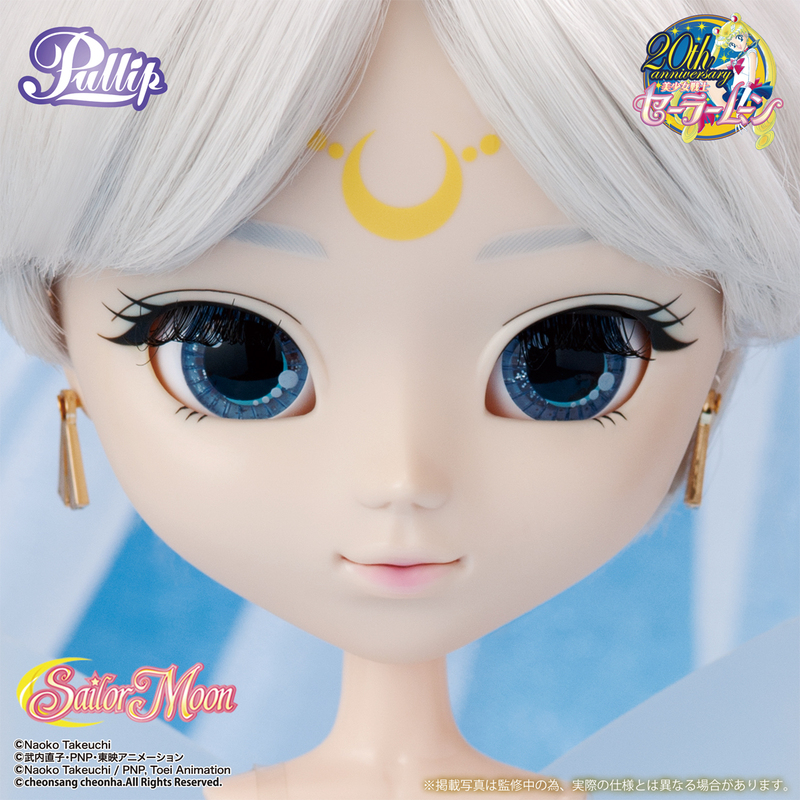 Groove has officially announced the 21st doll in their wildly popular collaboration series with Sailor Moon via their blog tonight, Queen Serenity. Queen Serenity is to be released in August in Japan and she will be released one month later in the US. She has a MSRP of 22,000 yen which is approximately $210 as of this writing. For those of you unfamiliar with Sailor Moon, Queen Serenity was the queen of the Moon Kingdom during the Silver Millennium and is also Princess Serenity/Sailor Moon’s mother hence the striking resemblance between the two. Queen Serenity admittedly doesn’t make much of an appearance in the anime/manga as she is already dead by the start of the series, she is still a pivotal character in the series though as she sets most of the action into motion. When the Moon Kingdom was on the brink of utter destruction she sacrificed her life to send her daughter Princess Serenity and her guardians: the Sailor Senshi to be reborn and reunited in the future in hopes that they could defeat the evil Dark Kingdom once and for all. 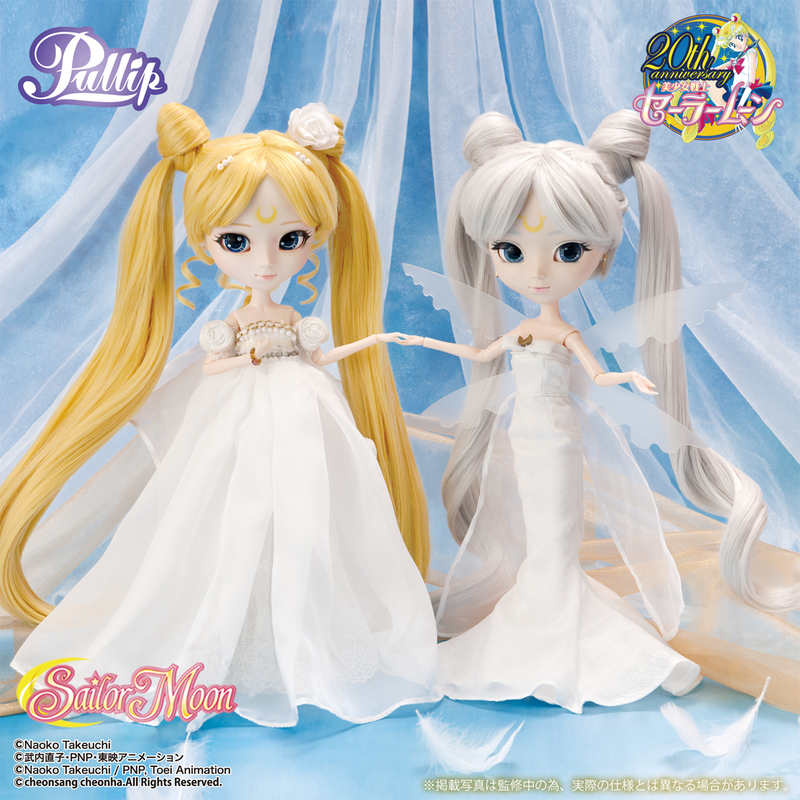 The previously released Pullip Princess Serenity (review here) alongside Queen Serenity, when next to each other you can definitely see the resemblance but also the differences. Queen Serenity has a much cooler color palette than Princess Serenity, overall her colors are a lot muter than the Princess’ giving her an almost ethereal beauty. I can’t help but wonder what her wings are made of and if they are a detachable element or not. Close up of the face, I really love her face up! The eye make up is similar to Sailor Moon’s face up but the lips have an entirely different shape/style. The way the lips are painted minimizes the size and the subdued color makes her look more grown-up than Sailor Moon. The moon symbol/tiara on her forehead appear to be painted on elements which means she unfortunately probably wouldn’t be too versatile out of her stock but a wig with proper bangs could easily hide it besides she is perfect as is! Back view of the outfit, I really marvel at the engineering used for her hairstyle. 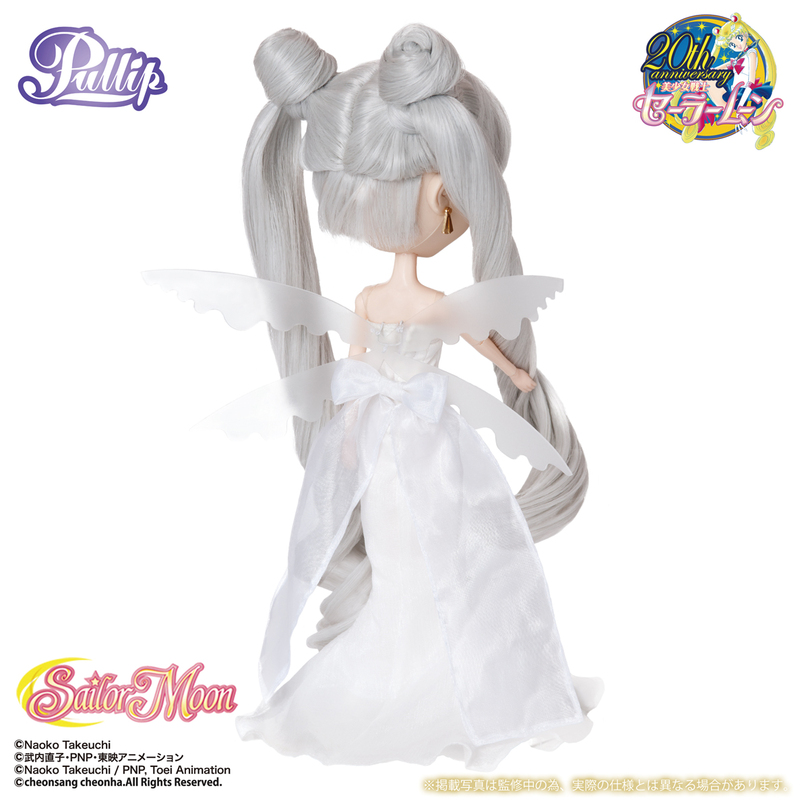 Once again, Bandai Shop has a Premium version of the Pullip available with an exclusive bonus item available only to those who purchase via their website. 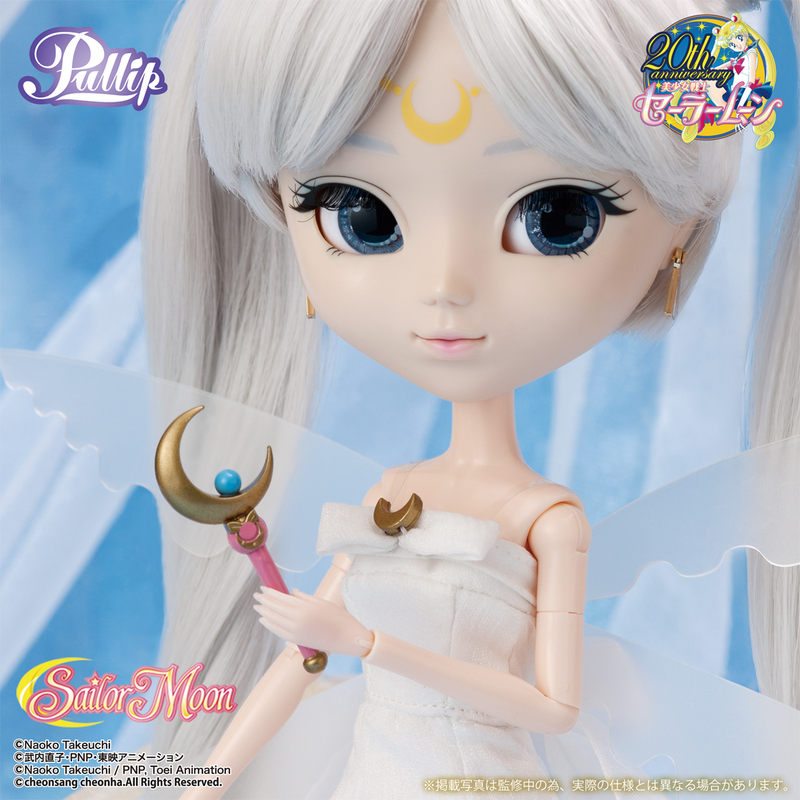 The exclusive item is the moon stick similar to the one that came with Pullip Sailor Moon though it appears to have been slightly repainted from the original version. 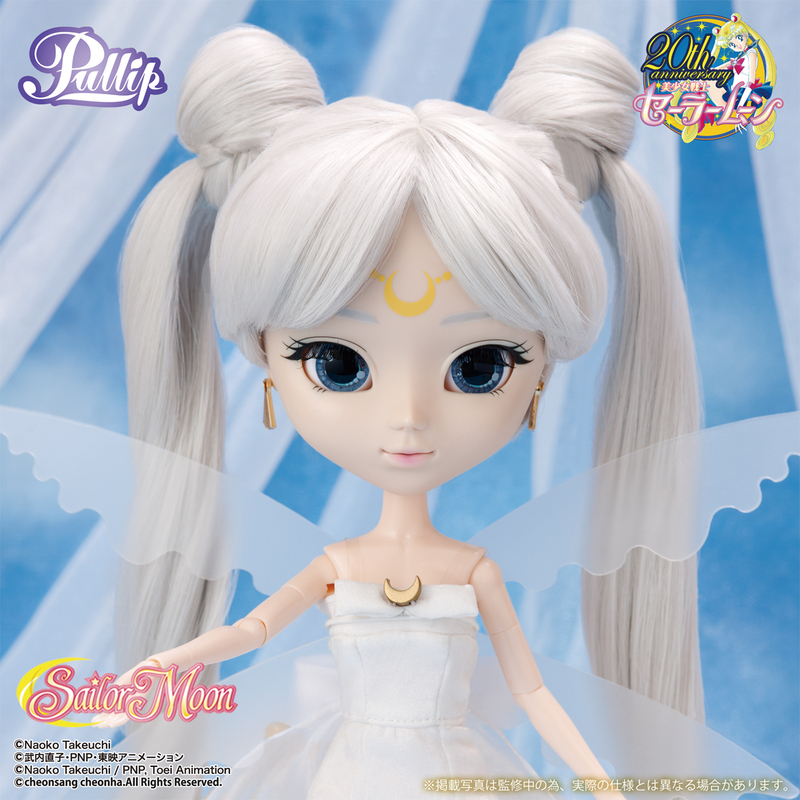 The Premium Version from Bandai has the same MSRP as the normal version, unfortunately I would have to use a buying service to get the Premium version and for that amount of cost/trouble her and my Pullip Sailor Moon will just have to learn to share the one moon stick. I will be sure to update when she becomes available for preorder via Pullipstyle and JPGroove. This entry was posted in Announced, Doll, Pullip and tagged bishoujo senshi sailor moon, fashion doll, groove, pretty guardian sailor moon, Pullip, pullip x sailor moon, queen serenity, sailor moon. Bookmark the permalink.